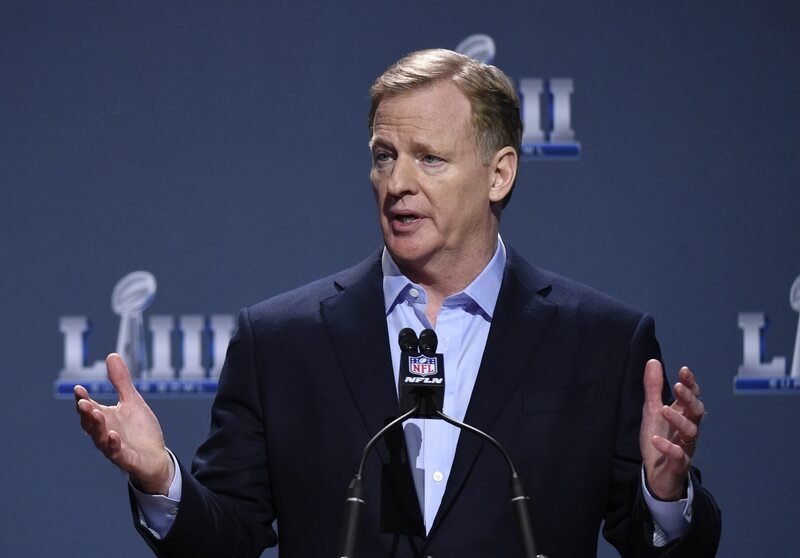 NFL Commissioner Roger Goodell attempted to put to bed criticism of officials during his State of the League press conference in the lead up to Super Bowl LIII earlier this month. Unless you’ve been hiding under a rock in recent weeks, you know full well what said criticism stems from. Late in the NFC Championship Game between the Rams and Saints in New Orleans, officials missed a blatant pass interference call against Los Angeles. If called, the game likely would’ve ended in a win for the Saints. It wasn’t called. And the rest is history. Immediately after the bad non-call, Louisiana Governor John Bel Edwards penned a letter to Goodell and the NFL. Now, long after the fact, Goodell has decided to respond. In terms of content, it’s a company line response. Right off the bat, Goodell is not telling the full truth here. He does have the sole power to require a game (or part of a game) be replayed due to an obvious officiating error. It’s something others called for after the NFC Championship Game. Though, it was never a real possibility. “I agree that it is incumbent on us to review this issue closely to determine if there are changes in our rules or procedures that would prevent a similar occurrence in the future,” Goodell continued. While the NFL has been open to an expansion of instant replay, it’s not going to include judgement calls. That makes Goodell’s comments on the matter relatively weak. He did, however, offer up some sense of an apology. “While there will always been mistakes made in any game played, coached and officiated by humans, we do not want officiating to be the topic of discussion about any game,” Goodell wrote. Weeks removed from the controversial non-call, this is still making headlines. Obviously, officiating has been the topic of discussion around the league. At the very least, Goodell did decide to respond to the governor. In a vacuum, that’s can’t be seen as a bad thing.